Water tank water cleaning, repairs, plastic welding and installation. Advise on matching pipe diameter to peak flow demand. RURAL WATER SERVICES will remove the sediment with minimal water loss OR completely empty your tank and water blast it clean. Unmaintained and dirty water tanks are the perfect breeding ground for harmful bacteria including Legionella, E coli, Algae, Worms, Dead Animals and organic matter. We also install prevention measures that minimise if not eliminate the introduction of animals and organic matter into your family's water tanks. Let’s face it, cleaning out water troughs is a smelly and tedious job which more often than not gets pushed to the bottom of the ‘to do’ list. Rural Water Services remove ALGAE from driveways, pools, decks and houses. Remove this hazard before someone you love is seriously hurt! Dairy sheds and wool sheds that require attention before gypsy day or shearing. I guarantee, you will be impressed. healthy life. We stock most filters..
To those I worked for thank you very much for your support, enjoy your water. I'll be back in April to clean up tanks and provide as needed guidance on filtration, first flush systems, water savers and tank set ups to maximise water efficiency for your use and enjoyment. 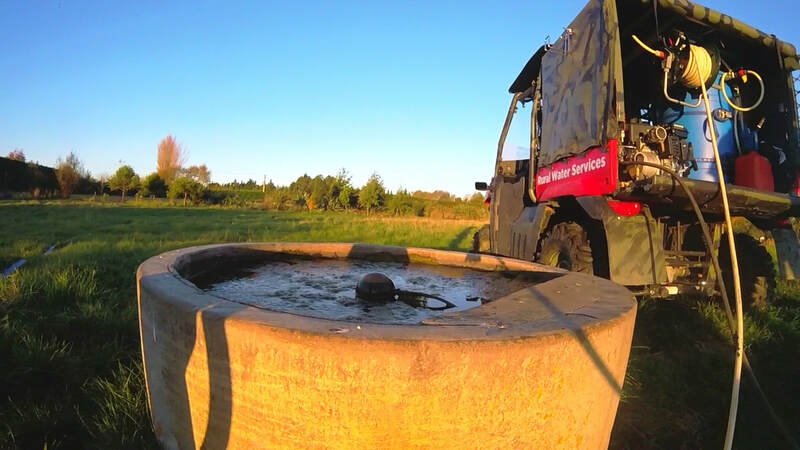 ​Rural Water Services are based in Christchurch however we cover all of North, South and Mid Canterbury areas. ​We specialise in water blasting, cleaning and maintenance of all water tanks and troughs for busy Canterbury family's, lifestyle blocks and farms - large and small. We pride ourselves on providing fresh clean water to your family & animals for their health, hygiene and farm profitability. Dell-lane is a specialist high country stockwater reticulation designer, filtration and domestic irrigation. Christchurch based, we will also clean your water tanks & troughs New Zealand wide by arrangement.